A syndrome of abnormally low blood glucose level. Clinical hypoglycemia has diverse etiologies. In man hypoglycemia can be defined as a drop in blood glucose concentration of 10 mg/100 ml or more, during a glucose tolerance test. After fasting for a period of several hours, the blood glucose level reaches a constant base level. If glucose is then ingested, the level rises and then gradually falls back to its original basal value over a period of 2-4 hours. Signs and symptoms of hypoglycemia develop if the blood glucose level falls into the range of 36-45 mg/100 ml. The main symptoms of a low blood sugar include fatigue, a craving for sweets, depression, anxiety, irritability and explosive behavior. The brain has a lower threshold for glucose than any other tissues with glucose crossing the blood-brain barrier by facilitated diffusion involving active transport. An increasing amount of glucose is extracted as the blood level falls and behavioral changes such as drowsiness and fatigue have a protective role in limiting glucose utilization by muscle. If the blood glucose level continues to drop, the final stage of coma is also a protective response as brain glucose and oxygen requirements are reduced in this state. There is consequently good reason for suggesting that the brain is particularly susceptible to low blood glucose, and is disrupted by even mild declines. For many years, reports have suggested an association between hypoglycemia and a range of abnormal behaviors including psychotic disorders, aggression and criminality. * Studies by Virkkunen (Virkkunen, 1982 ; Virkkunen & Huttunen, 1982 ; Virkkunen, 1986) on violent offenders who showed antisocial personalities, revealed that their blood concentrations rose to abnormally high levels, then fell to a significantly hypoglycemic condition and then slowly returned to the original basal values. 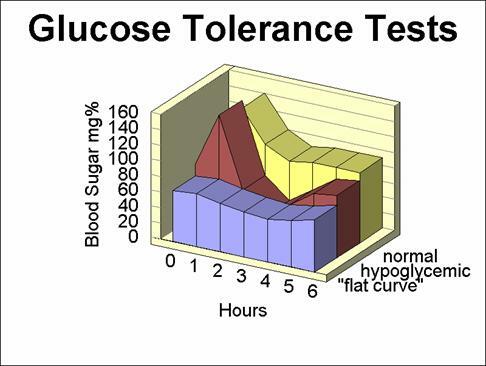 Even at the end of the five hour glucose tolerance test, half the patients with an antisocial personality had still not regained the original fasting levels. None of the control subjects showed any of these results, but they did find that in nonfasting “normal” subjects, the rate of fall in blood glucose concentration determined the risk of neuroglycopenic symptoms (e.g., drowsiness and lack of attention). Thus, they concluded that neuroglycopenia, like alcohol intoxication, seriously impaired intellectual ability and judgment. Studies by Andrade et al. (A reexamination of the hypoglycemia-aggression hypothesis in laboratory mice, 1988) rehinvestigate such phemomena in mice with two different experiment; the first one examine the consequences of injecting the hypoglycemic factor insulin on ethologically-examined mouse behavior, the second one examine the consequences of giving glucose directly to the mice before assessing their behavior in detail. The data obtained from the first experiment failed to reveal a simple relationship between hypoglycemia and aggression in the mouse. Suppressing blood glucose levels with insulin produced subtle effects on behavior, but there does not seem to be a specific effect of low blood glucose on fighting or threat. fundamental changes in other behavioral attributes or it could be the case that some activities that are labelled as “aggression” in infrahuman animals and man are qualitatively different. Recently studies by Westling et al. (Increased IL-1b reactivity upon a glucose challenge in patients with deliberate self-harm, 2011) investigated the hypothesis that the levels of IL-1b would be increased in patients with deliberate self-inflicted aggressive behaviour, because this might explain the aberrant glucose metabolism and add further knowledge to the aetiology of self-inflicted aggressive behaviour. They investigated plasma cytokine changes in 13 patients with borderline personality disorder and 13 healthy controls during a 5-h glucose challenge. Plasma samples were analysed for cytokines IL-1b, TNF-a and IL-6 using high-sensitivity multiplex ELISA. Psychiatric symptoms were rated using the Aggression Questionnaire Revised Swedish Version. The results of the experiment is that basal plasma levels of the three cytokines did not differ between patients and controls. All three cytokines reacted significantly upon the glucose challenge but the increase in IL-1b levels in response to glucose was significantly greater in patients than in controls. Furthermore, IL-1b reactivity was associated with symptoms of hostility. -In patients with borderline personality disorder (BPD), there was a greater reactivity of plasma interleukin (IL)-1b upon a glucose challenge than in healthy controls. -The increase in IL-1b during the challenge was associated with symptoms of hostility as measured using the Aggression Questionnaire. -Il-1b, TNF-a and IL-6 all react significantly upon a glucose challenge. -The number of participants in the study was comparably low. Furthermore, the samples have been used in a previous study, and errors of multiple comparisons cannot be excluded. -Some of the patients took medication against psychiatric disorders. Such medication has in some cases been shown to decrease cytokine levels in the blood. -Patients with BPD often have co-morbid psychiatric diagnoses. This was also the case in the current study. Interleukin-1b is a proinflammatory cytokine mainly synthesised by macrophages. Interestingly, it has been associated with behavioural symptoms such as aggression. The cytokine is also involved in the regulation of glucose metabolism. Brain injections of IL-1b have been shown to induce prolonged hypoglycaemia by mechanisms independent of insulin. hostility, as measured by the AQ-RSV. It remains to be established whether it is the low glucose levels, the effects of IL-1b itself within the brain, or other yet unknown factors that cause the aggressive symptoms observed. although the study setting does not allow a causal relationship to be proven. It seems that we should not treat aggression as an unitary phenomenon and hypoglycemia may be important in the understanding of some such phenomena but not others. The data suggest that, a tendency to become mildly hypoglycemic may be an important factor influencing aggressiveness in the general population. There are also interesting suggestions of associations between blood glucose levels and serotonin metabolism which could underpin some of the behavioral changes.